SKU: 707. Categories: Accessories, Bags, Carolina Monogram, Clutches and Purses, Designer Inspired Purses, Designer Inspired Purses. Tag: featured. 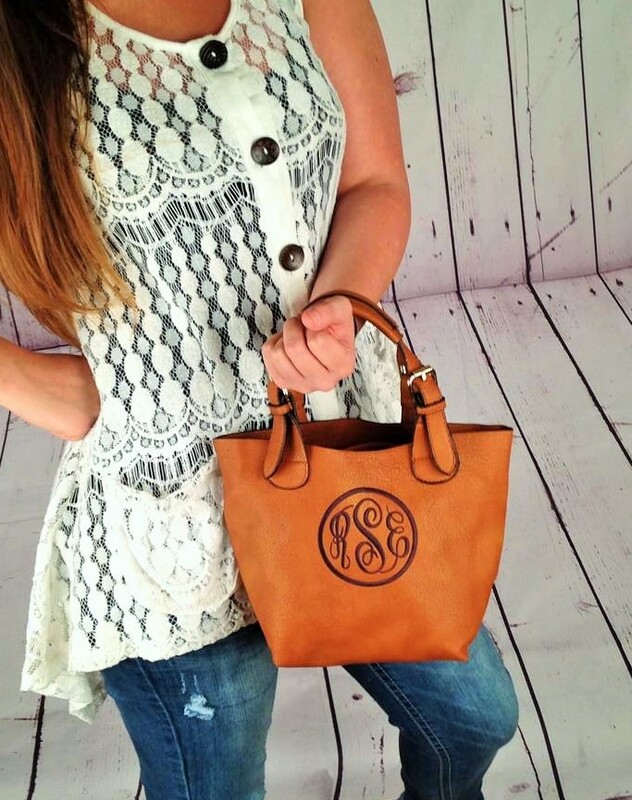 This monogrammed purse is everything you need plus some. This bag has a snap “bag in a bag” to store additional items such as cosmetics! 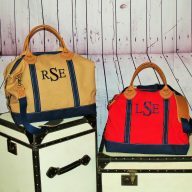 With the bag having a secondary bag inside, you are left with extra storage, and a place to keep all of your personal items from prying eyes. 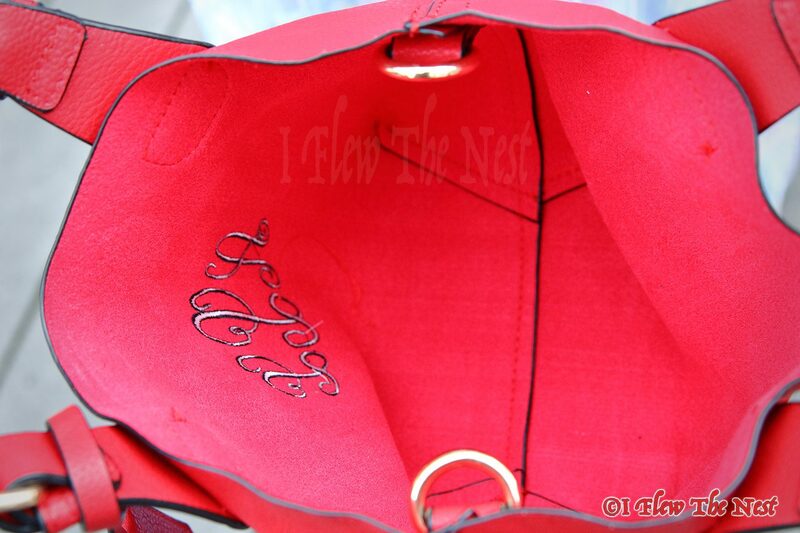 The inner bag also comes with rings to attach long strap. so, you can actually use it as two bags, doubling the size! 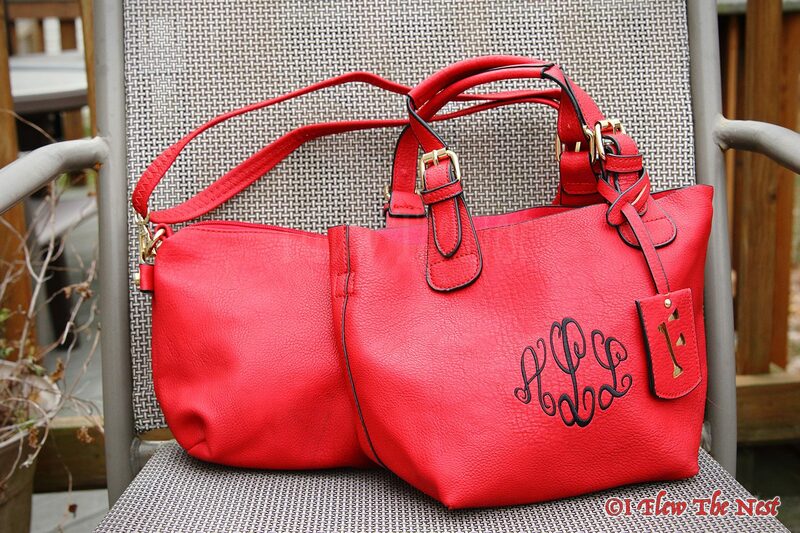 The Ruth monogrammed purse can be worn two ways. 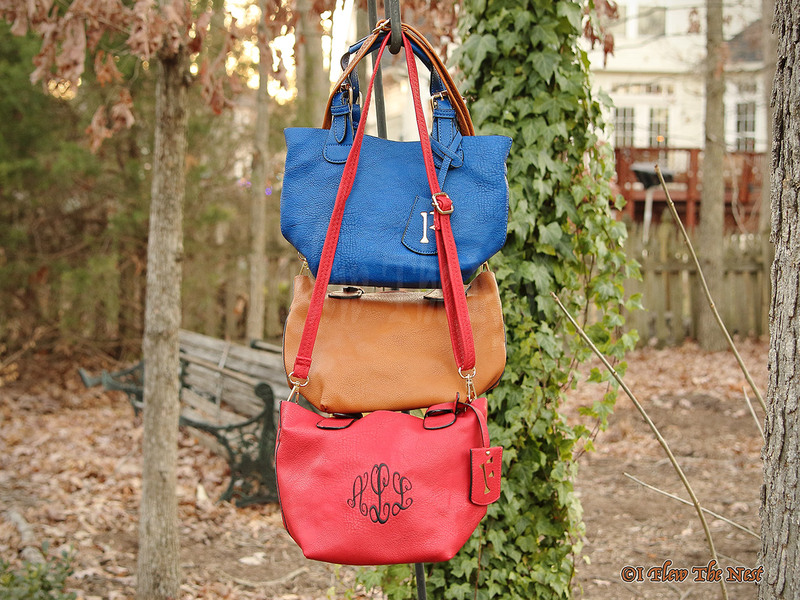 First, it can held as a mini tote over your forearm. 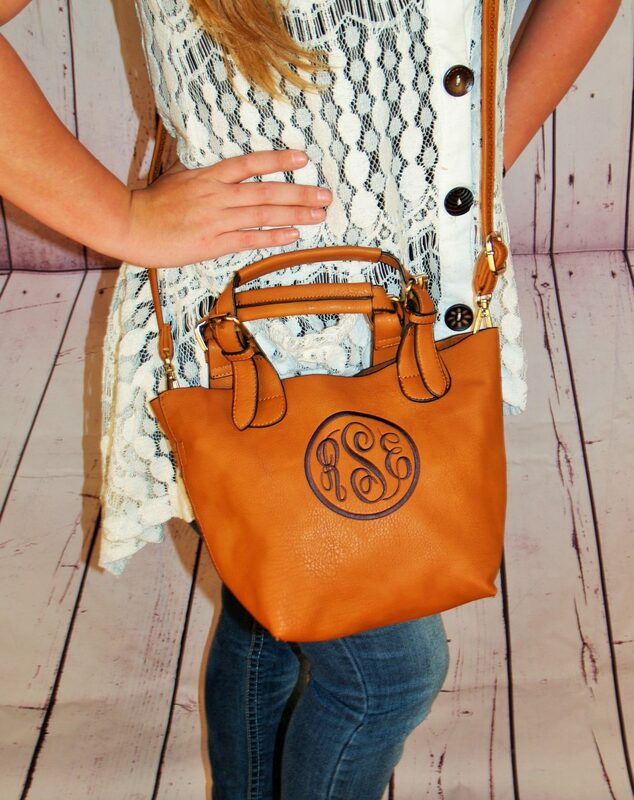 Or, you can use the adjustable shoulder strap and like magic you have a monogrammed crossbody! 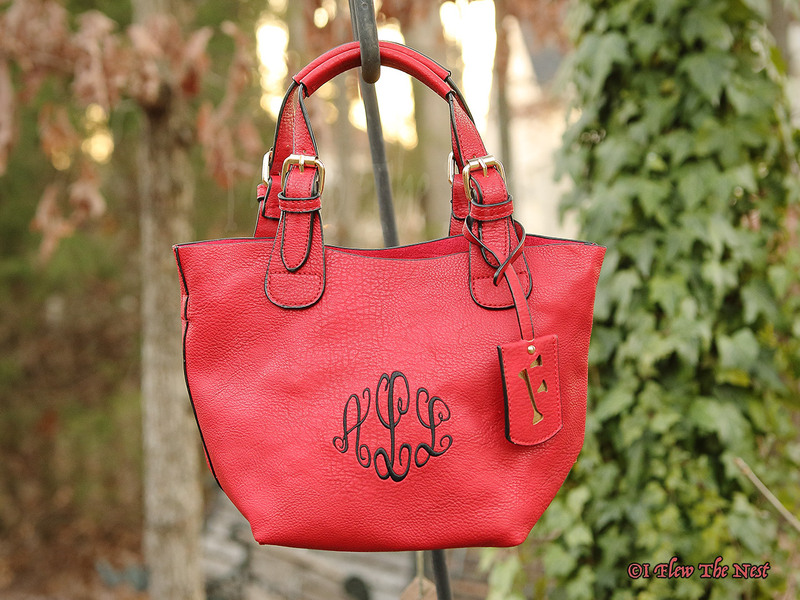 The monogrammed Ruth purse by I Flew the Nest is a true one of a kind and all the gals love it! 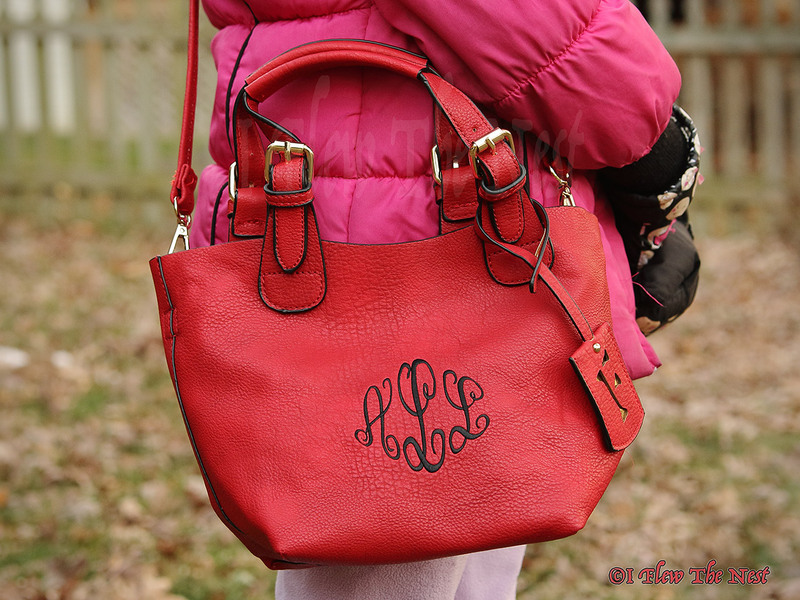 In the photograph, the Red monogrammed purse is featured with black colored thread. The font used is Elegant. 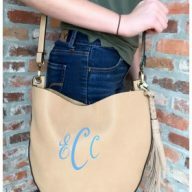 If you also would like a circle around your monogram, please select that option before you add to cart. 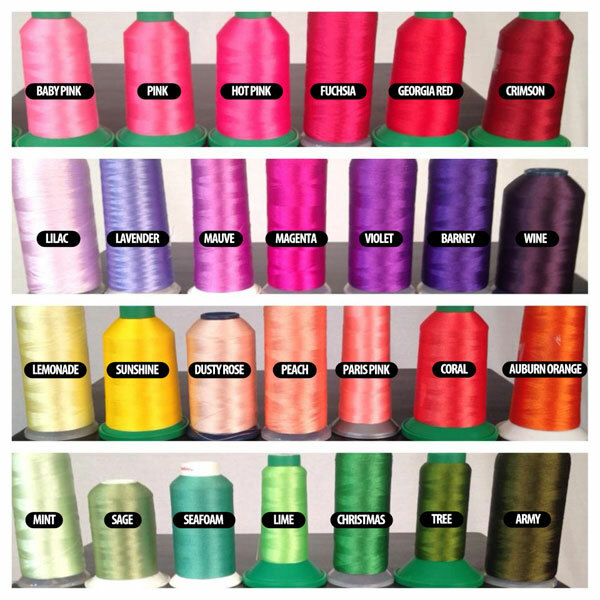 Lavender color thread would be good choice for Blue Ruth bag. 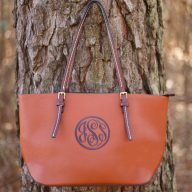 Darker shades of brown color such as Chocolate or Pine Bark, or lighter shades such as Cream would go very well on Brown Ruth Bag. 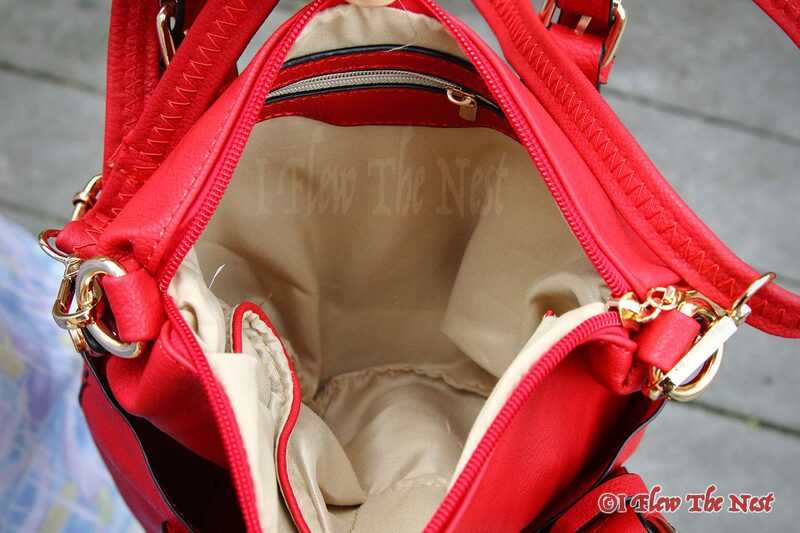 Interior Pockets: Inner tote – one zipper and two slip pockets with a divider; Main tote – none. 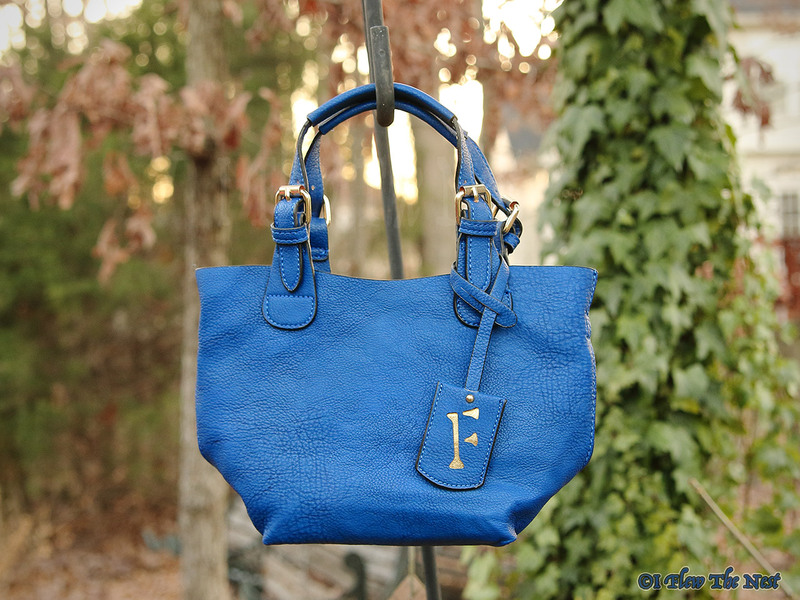 At I Flew the Nest, we work hard to ship all orders in a timely manner and typically this purse will ship to you in three to five business days. If you have questions you can always reach us at 1-703-634-3532 or send an email to orders@iflewthenest.com. Dimensions: Main tote, 10.5″ x 7.5″ x 5″, not lined. 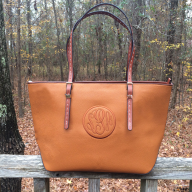 Inner Tote: 10.5″ x 7.5″ x 4.5″, lined.